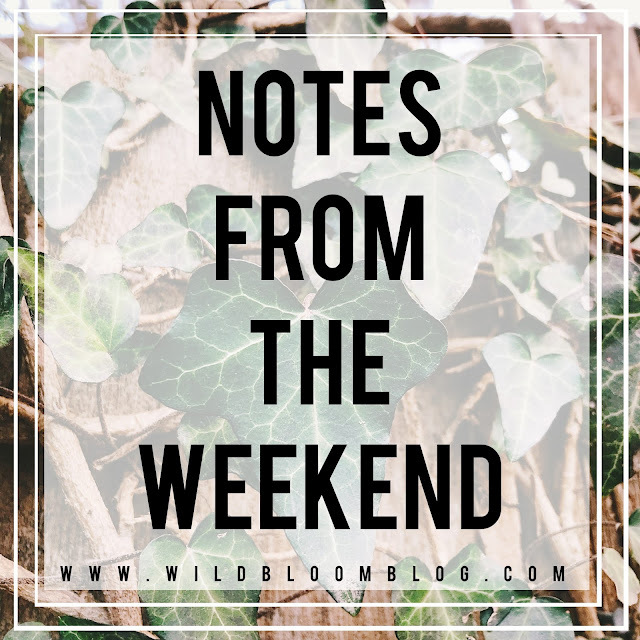 W I L D B L O O M : NOTES FROM THE WEEKEND // volume five. - i caught a cold during the week, so this weekend i was in recovery mode. i went into work on saturday for a few hours. other than having dinner at a local mexican restaurant, that's about the gist of my weekend adventures. - tax season is officially here. i know most people want to crawl in a hole when they hear the dreaded T word, but i LOVE doing taxes + bookkeeping. sure there are long hours and some clients are never happy [even if they're getting a refund]. but i truly enjoy what i do. - i didn't watch the super bowl because we don't have cable. i have to wait until this is us comes on hulu so i can cry my eyes out. but jared + i started watching planet earth 2 on netflix and oh myyyy goodness. i cannot recommend this enough. so interesting! + did you know that dolly parton has a book club that will send your child a free book once a month from birth to five years old? jackson received his first book recently and loved it. and by love, i mean he chewed on it because teething has turned him into a puppy-baby. check out the website! + has instagram come full circle? - a beautiful mess. + i finished this book over the weekend. the coolest part is that the author lives in wichita! + i need every mom to go read this post right now.